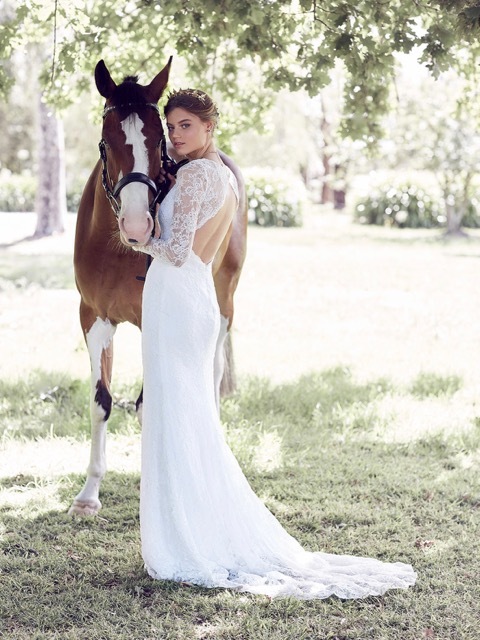 Add a touch of magic to your wedding day, with the Marley bohemian wedding dress. 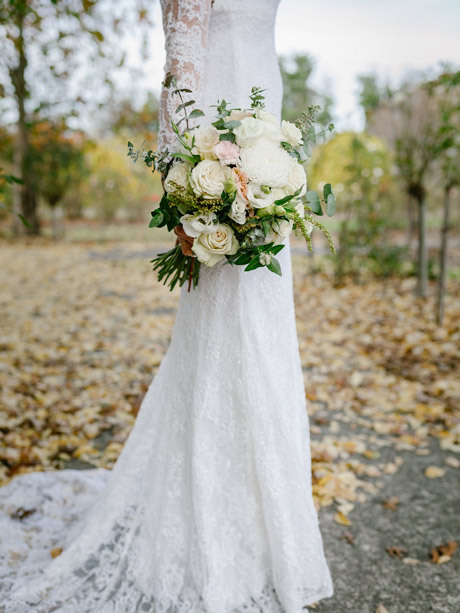 Simple and so, so chic you will be loving your choice at every stage of your event. 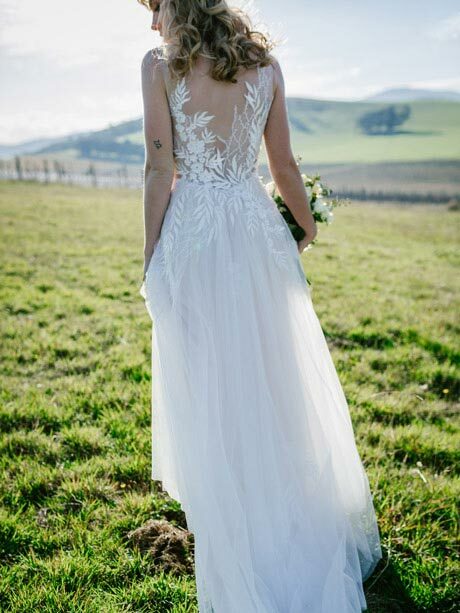 When the ordinary is just not enough, the Marly Bohemian tulle wedding dress is a contemporary twist on the free flowing traditional boho wedding dress. How gorgeous are the tulle sleeves, I love the softness they give over the arms. The back of the bodice I decided to keep as an illusion back. With a double layer tulle skirt and a vine like patterned lace underneath the skirt. 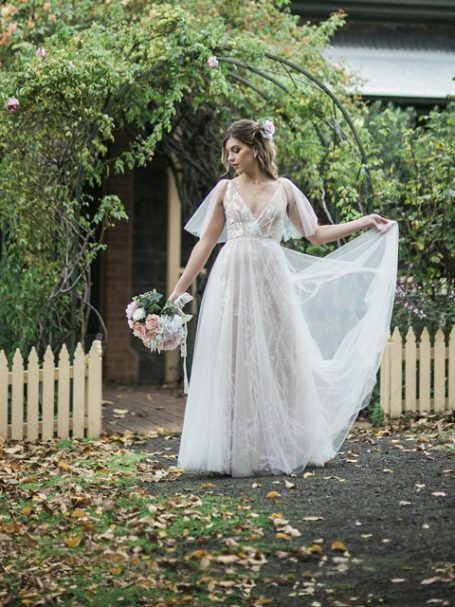 The Marley bohemian tulle wedding dress comes in two colours blush and ivory and white, it was a really tough decision but we choose the blush and ivory for our photoshoot. Matched with our Daylesford wedding earrings and Garden Party headband both in gold. You will not need a petticoat with this dress. At the moment the Marley wedding dress is a custom made design and will take 8 weeks to produce. As the neckline is quite low and the back see through a bra will not be able to be worn with this design. Photographed by Rachel Breier Photography in Melbourne.